The palm tree-lined streets of Baldwin Park along with its great selection of homes to live in, restaurants and shops, brings joy to those who live in the area. When the weather turns hot and humid, great working air conditioning brings smiles to Baldwin Park residents and business owners. It’s refreshing to come in from the outdoor heat into a space that is cool and comfortable. If your home or business has begun to feel less than comfortable and you can’t figure out why, it may be time to call in the experts in Baldwin Park air conditioning repair for a checkup and service. 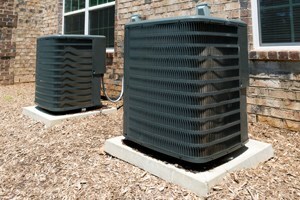 DC / AC Air Conditioning and Heating has been the residential and business AC repair Baldwin Park has relied on for over 25 years to keep area homes and businesses comfortable. Our expert repair and service technicians, chosen from the top performers in the field, have helped us to achieve an A+ rating with the Better Business Bureau along with the exceptional reviews we regularly receive from your neighbors. 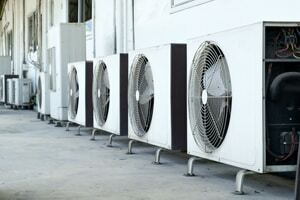 We work diligently to maintain 100 percent customer satisfaction in all facets of air conditioning repairs and service. The best way to keep your air conditioning running at a top-notch pace is to have a good plan in place for periodic checkups and service. Simple things like changing filters, recharging the refrigerant, and checking the most basic parts to be sure they’re still working the way they should goes a long way towards keeping your home or business climate at the most comfortable temperatures. A simple phone call to DC / AC Air and Heat is all you need to bring the AC service Baldwin Park relies on to your doorstep. We know that providing exceptional service at great prices will help you to keep enjoying the top-notch service you’ve become accustomed to. When you’re satisfied with our service, we know you’ll probably recommend us to friends and co-workers. DC / AC Air Conditioning and Heating is here to supply the business and residential AC repair Baldwin Park FL relies on for excellence. 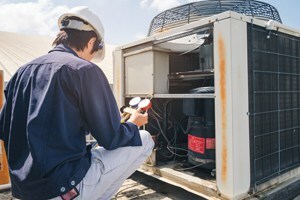 Whether you need simple diagnostic checkup services, refrigerant recharging, or repairs on the parts that go out often on units like fans, coils, sensors or capacitors, DC / AC Air Conditioning and Heating is there for you like a reliable friend. We stand behind our stellar reputation and strive to make every experience with DC / AC Air and Heat a good one, and to provide a service you can proudly recommend to your friends. 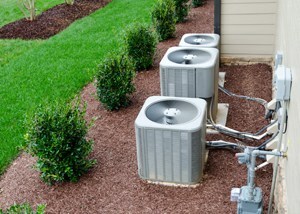 If it’s determined that you need to replace your current AC system with a new, cutting edge system, we know you’ll be pleasantly surprised at the technological advances that have been made to today’s new systems. Your expert technician will explain all the nuances of your newly installed system, including the most recommended tips for using it wisely to see the most savings on your utility bill. You’ll also learn about energy efficiency ratings and how the newest systems can help you leave less of a footprint on the environment. Our technicians are trained to listen carefully to your concerns and to answer all of your questions. Even if you need help with paperwork for a rebate, you’ll get that, too. The AC repair Baldwin Park turns to for real results is delivered to your doorstep in the most timely and professional way. You’ll like the way we conduct business. Our hope is that you’ll turn around and recommend us to your family, friends and co-workers. This is the best compliment and validation of our services that we can receive.